Tracy's Bits N Pieces: Playing with low volume and two flimsy finishes. Playing with low volume and two flimsy finishes. First up, a small low volume sample for our LQS. Cyndi, the owner of the store wanted a little sample to show customers how to incorporate low volume fabrics into their quilts. I volunteered. A quick little scrappy quilt is always fun and gratifying. Please excuse the terrible picture taken with my phone. This was made with 44 5-inch squares of low volume fabric as the background. The stars are made from scraps; a 5-inch square and leftover triangles from other projects. It is bound with a grey and white dot. I was also able to finish up a couple of quilt tops. First up is my quilt top for the Irish Chain Twist Quilt Along over at Happy Quilting. I got all of my blocks and rows sewn together, now to decide how to quilt it. Any suggestions? The colors turned out great together. So springy, don't you think? I just LOVE the green!! And finally I finished up my delectable mountains quilt. The fabrics are just so fun together. This started with a few pieces from Urban Chicks that I just fell in love with. Hello feathers! And the rest came from my stash. Yay for stash busting! This quilt makes me happy. I have always been drawn to scrap quilts, so busy quilts like this that mix together fabrics from all over just make me smile. These are all lovely. I wish I could give you an idea about how to quilt your Irish Twist, but I'm always doing very simple quilting myself. You have been busy and all such beautiful results. 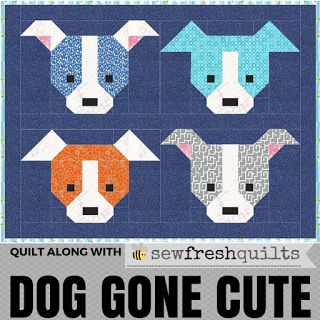 Good luck with the quilting. All three are so beautiful!!!!! Hope you find enough inspiration. Love to come back to them quilted. Love the colors you chose for the Irish Chain. I'm a huge fan of green and the pink just set it off. Great work. I love the low volume piece and well - all of them, really. Fun. Wow, your Irish chain turned out beautiful! I really like the colours, especially on the green grass - I can feel Spring is in the air! Love how bright and happy your Irish Chain Twist is. I'm having the same trouble deciding how to quilt it. Glad Melissa is going to post some ideas. Well, you're a busy bee! I love your version of the Irish chain quilt, I should try one myself actually, since I am married to an Irish guy! The joy of making these quilts is really visible! I really love the mountains quilts! It is gorgeous!!! The Irish chain is just lovely and peaceful. adidas factory outlet sale perspective adidas factory outlet diminished capacity, can no longer be three hundred and adidas factory outlet sixty degree wide-angle perspective, so it did not find that followed adidas zx shoes behind two satyr. Slowly walked up an alley, cheap want to go to the toilet, then went inside the toilets http://www.legitwebdesign.com.au adidas factory outlet with cheap.